Aeroponics is an unusual yet extremely effective way of growing marijuana. Whereas most marijuana plants are grown insoil (indoors or outdoors) or water (such as a hydroponic system), aeroponics involves suspending marijuana plants and allowing them to grow just in air. This system is quite complicated and involves a lot of attention for it to be the success it has the potential to be. It is not really a system for those growing marijuana for the first time. The reason aeroponics is so effective is because it uses less water and fewer nutrients than other growing methods. There is nothing between the nutrients and the roots of the plant, meaning nothing is lost in the translation of the nutrients from the soil into the marijuana plant. The space given to the roots to grow also allows for increased plant growth and better yields. 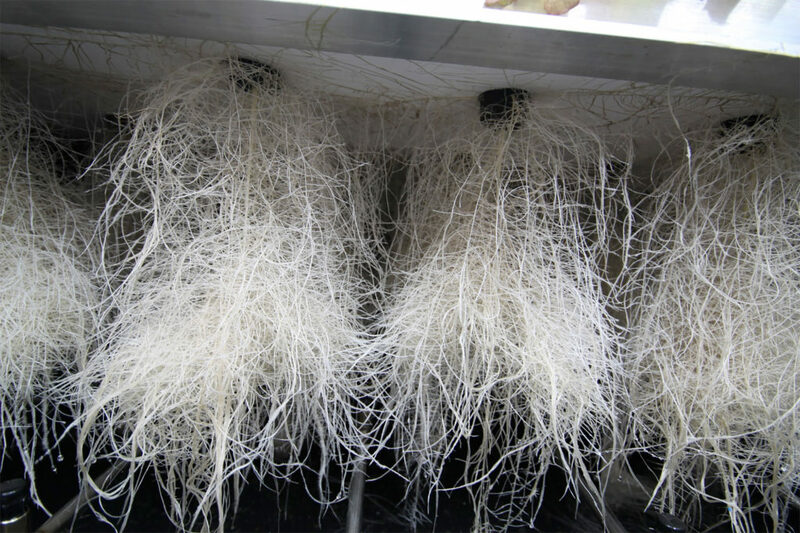 Aeroponics is extremely successful if it is pulled off correctly. Aeroponic systems are grown in net pots. These pots act very much like a support structure to hold the marijuana plants suspended in the air. The roots are exposed in a chamber below, in which the environment is enclosed and managed carefully. In another chamber is a high-pressure water system which is used to spray the roots of the marijuana plants with nutrient-rich water. Other factors, such as CO2 and light, are used to assist the growth of these plants, too.